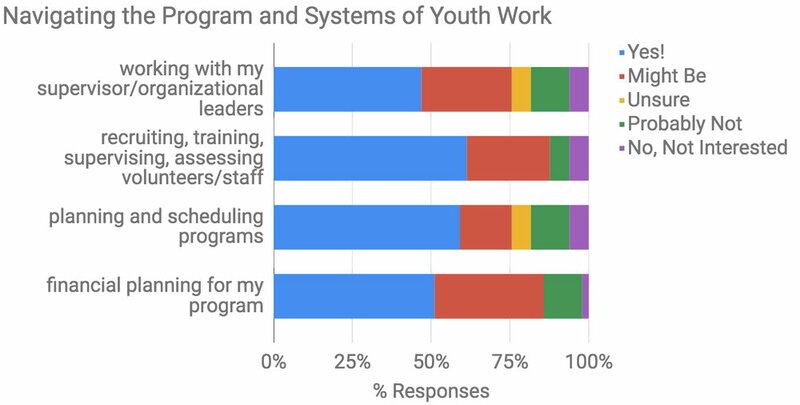 Data Source: Boston Urban Leadership Initiative Survey, 2017. 50 Respondents, percentages of "Yes" or "Might Be" responses to "Please tell us what kinds of training you'd find helpful." 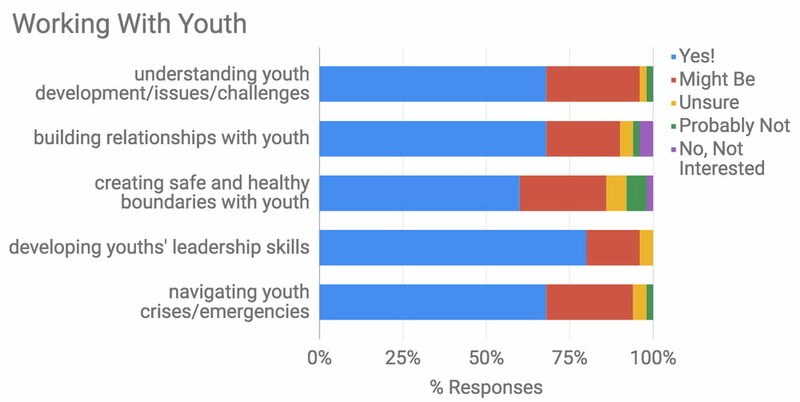 Data Source: Boston Urban Leadership Initiative Survey, 2017. 49 Respondents. High school student behavior management strategies, tools, and best practices. Teaching to a variety of learners in one classroom; how to keep them all engaged; classroom management. Creating healthy boundaries with social media and technology and learning to discern the value and intent of information posted online. Training in ADHD and autism. Apologetics and how current day religions (Black Hebrew Israelites, Mormonism, Islam) attack the Gospel and how to help youth stand firm. How finances can help or hinder serving and helping underserved youth. How to manage and organize your time and your workload to have a stress-free and smooth work life!